The Australian film finance company has secured additional funding and now hopes planning to provide cash flow support to UK productions. Fulcrum Media Finance, Australia’s most active cash flow lender for film, has secured a $16.7m (A$20m) revolving loan facility from a superannuation fund, and is looking to expand into the UK. The fund, the Media Super, is available to people working in the media and arts industries. Geoff Brown, chief executive of the Screen Producers Association of Australia, had suggested in the past that it could cash flow the country’s producer offset. 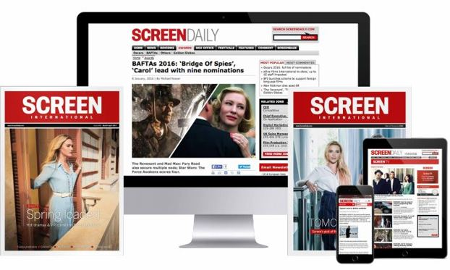 Speaking to ScreenDaily, Fulcrum executive director, Sharon Menzies, said: “It has taken a lot of time to give Media Super all the information they need to be comfortable and to understand there is no risk involved because their returns are not linked to the financial success of the film. “In that time, we have cash flowed 20 film and television projects and everything has gone well,” she added. Fulcrum provided around a quarter of the $102m (A$120m) of the total production budget of projects, from across Australia and New Zealand, and has been refunded after claiming the producer offset. The projects included Oranges And Sunshine (pictured), the Australian/UK co-production, saw Fulcrum also cash flowed the UK tax credit and intends to now offer UK projects cash flow and bridging finance, discounted distribution guarantees and some gap financing. “It makes sense and is a natural extension of what we’ve been doing here,” said Menzies, who previously worked Baker Street Media Finance in the UK but now lives back in New Zealand. Emile Sherman, Iain Canning, who is based in London and produced Oranges And Sunshine alongside Camilla Bray, and Sydney-based banking and financing lawyer Barry Sechos are also Fulcrum directors. “There was a real lack of liquidity because of the global financial crisis when the producer offset was introduced and lenders were charging an additional margin, but costs to the producers have come down,” said Menzies. Terms and conditions remain unchanged with the new injection of funds, which gives Fulcrum $42.2m (A$50m) to play with. The Media Super side of the deal has been driven by chair Gerard Noonan and Chris Warren, representing the Media Entertainment and Arts Alliance, whose members include actors. Media Super has more than 120,000 members, 16,000 employers and more than $2.1bn (A$2.5bn) in assets. He is only half joking. Thanks to the introduction of one of the most generous financial incentives in the world, Australian film-makers now rank among the world's most desirable production partners. Australia’s generous producer offset incentive is giving local film-makers a major boost, with a range of ambitious projects in the pipeline. But films with foreign elements are at the mercy of a shadowy discretionary system which is causing controversy, reports Sandy George.